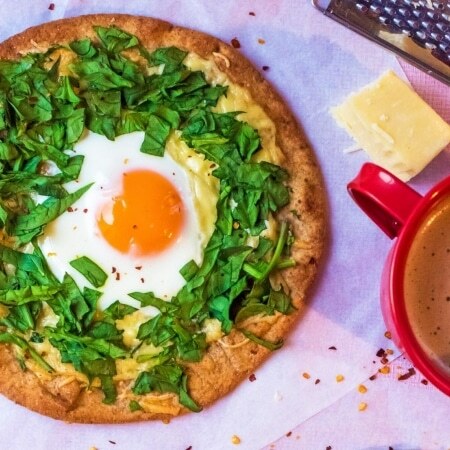 I’m not usually a big breakfast person, but that could change with pizza 🙂 This looks like a really good way to start off your day! 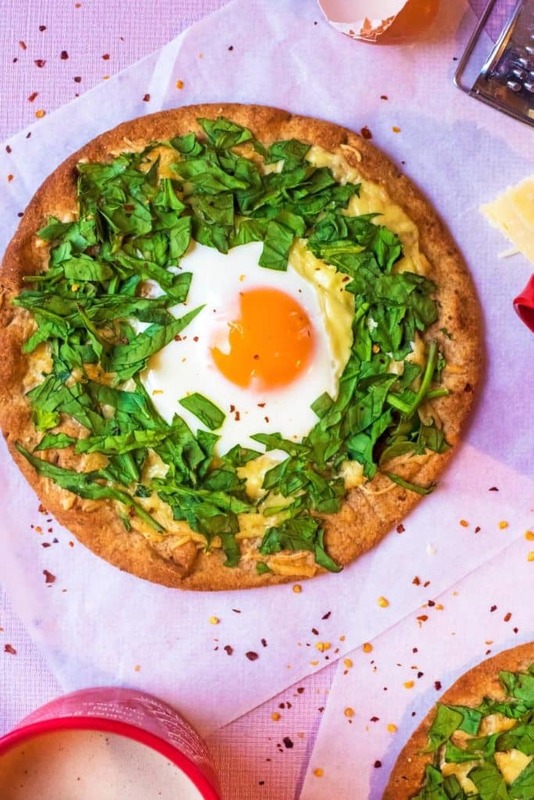 You had me at pizza for breakfast!!! 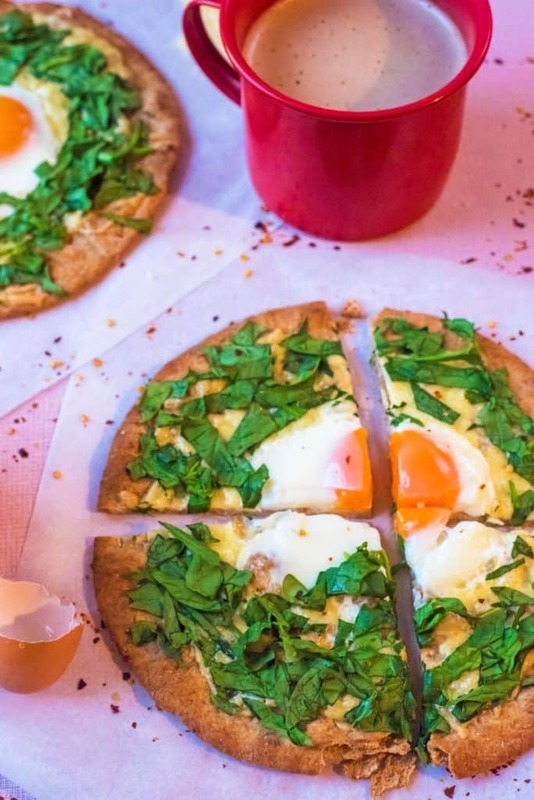 I love the idea of using a pita to make these simple and straightforward to prep in the morning. 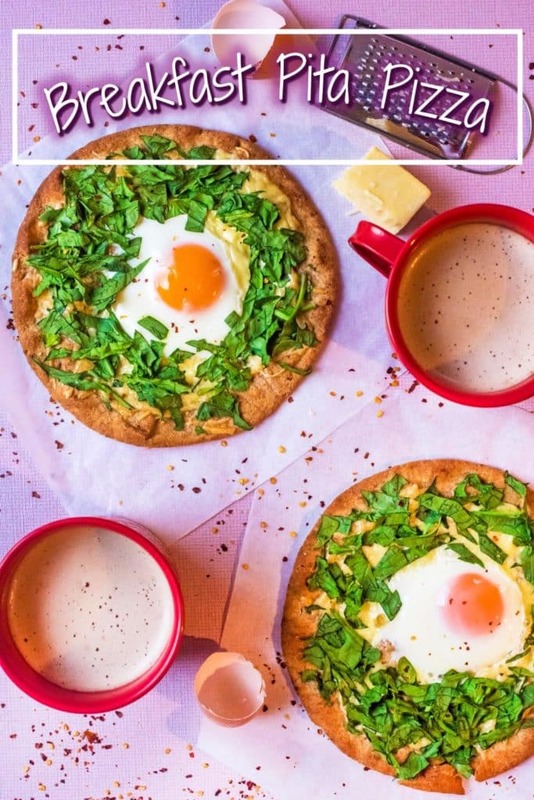 What a fun, tasty breakfast idea!